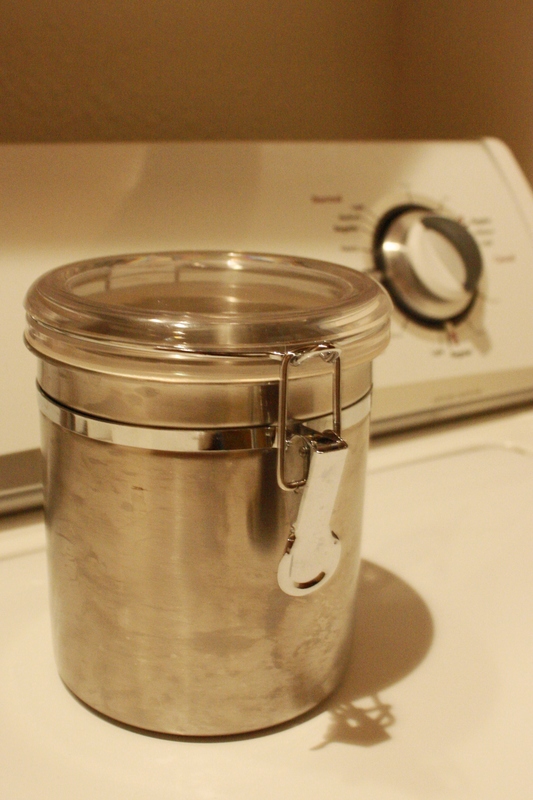 Homemade Laundry Detergent = Success! Even though homemade dishwasher detergent didn’t work out for me, I was still dedicated to trying the laundry detergent! I compared many recipes online and tried the one that seemed easiest, quickest, and cheapest. The liquid laundry detergent recipes seem nice, but I don’t have room for gallons and gallons of it to be stored, so I went for the powder type. Grate the bars of soap, the finer the better. A food processor works great for this, but I have also used a cheese grater and that was fine too. Use 1 tbsp powder for each load – I like to start the water, put the powder in, then wait a minute to put the clothes in so the soap can dissolve, but when I don’t, I haven’t noticed a difference. Total: $2.785 for 36 loads = less than $.08 a load! Yes! I just tried this, as well, and I’m in love. Me too! I still have a ton of washing soda and borax left, might try it with ivory soap next time. I agree! I kind of hate grating the soap, but I should just put it through my food processor and that would be easy. I just stumbled upon your blog & I am hooked! 🙂 Do you use this soap in an HE washing machine? I would love to try it, but I know you can’t use ‘traditional’ soap in the new machines. Thanks! I don’t have an HE washing machine but I have read that you can use it – but I don’t know of anyone who has personally tried it w those machines. I’ve read about this recipe on another blog and there were many responders who had used it in HE machines. They even found that it got rid of some of the odors those machines develop inside from gunk in the door gaskets.